One of our most beloved vessels, the Delfin I is a boutique cruise ship offering an intimate experience in the Peruvian Amazon. Now, we’re adding something new to the itinerary- guests can add a fishing excursion to their cruise! For an additional cost, you can try your hand fishing the Amazon, and get an experience few have the chance to. Read on for everything included in this new offer, and why you won’t want to miss it! For those choosing to add this new excursion, here is an example of what the day may include (of course, everything can be altered to fit your needs!). You’ll visit two beautiful lagoons in La Posada Private Reserve and Amazon Park, both in which you can fish for piranhas, peacock bass, and the giant arapaima. While endangered species are only for catch and release fishing (such as arapaima, peacock bass & oscar fish), all other fish can be brought back to the boat and cooked onboard- talk about a once-in-a-lifetime meal! Starting at 6:00am, the group will do an early fishing excursion (we’ll bring the coffee!). Enjoy breakfast in one of the lagoons at 8:30am, followed by an hour of hiking and canopy walking in the rainforest. By 11:00am you’ll be back on the Delfin for a lecture and delicious lunch (meal served around 1:00pm). Those fishing will head out again around 4:00pm for an afternoon fishing excursion, with a couple more hours to try and snag the best catch of the day. Fishermen and women will be back on the vessel by 6:30pm, hopefully with some fish in tow! 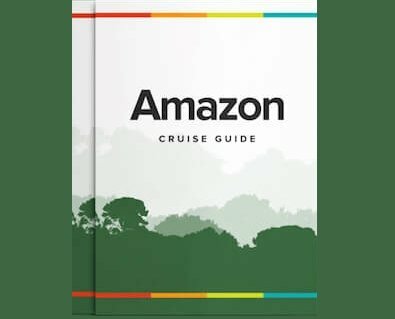 Why is fishing in the Amazon such a unique experience? For starters, there are over 2,000 different species of fish that are endemic to the Amazon region! Here are some of the fish you could encounter on our new fishing excursion, and why they’re so fascinating. The world’s largest freshwater fish, you’ll be a local legend if you can manage to catch one. Also known as pirarucu or paiche, this huge carnivorous fish lives in the Amazon River and surrounding lakes, and can reach up to nine feet long and weigh up to 200 pounds. The arapaima is harmless to humans, preferring to prey on other fish and birds. They’re such great hunters, they can even live in piranha-infested waters! These Amazonian giants are found close to the surface of the water, so even if you can’t catch one you may get a glimpse! Most known as a decorative fish in exotic aquariums, the Oscar fish is an aggressive species that can grow up to 16 inches long. Somewhat of a chameleon, Oscar fish are able to rapidly change their colors, a trait that they use for ritualized territorial and combat behaviors. These fish thrive in the flooded river plains along the Amazon River, as well as in lakes and founds throughout the rainforest. One Amazonian fish that just about every visitor is familiar with, the red-bellied piranha has been made immortally famous by Hollywood. Often portrayed as a man-eater with razor-sharp teeth, you’ll find the truth is that they’re nothing to fear. Piranhas are primarily scavengers, and you don’t have to worry about them coming after your feet dangling in the water as the movies would have you think. They can grow up to 12 inches long and usually travel in groups. They do have some sharp teeth, easy to spot if you do catch one! Also known as a speckled pavon, speckled peacock bass, or painted pavon, this type of Peacock Bass is a prized game fish. Adults can grow up to a meter in length (3.3 feet), and weigh more than 12 kilograms (26 lbs). You’ll find these guys in rapids and quiet water with medium depth, feeding on smaller fish. Want to know a bit more about the ship you’ll be staying on? The Delfin is a luxurious, boutique cruising vessel with routes in Peru’s Northern Amazon. Combining traditional design and craftsmanship, this ship still offers all the modern comforts you need. With only four suites on board, the Delfin is sure to be a personalized and intimate adventure. Each suite has been designed with true attention to detail and commitment to quality. Each offers floor-to-ceiling paneled windows to give you constant breathtaking views, and also has a spacious private terrace for taking it all in (lower deck suites also have private whirlpool baths on their decks). Each meal onboard is individually prepared with exotic local ingredients combined to make the finest gourmet meals. The Delfin has room service for those wanting a romantic private meal on their deck, however you can also relax with other guests over cocktails in our all-inclusive drinks package. Adventurous travelers can use the kayaks and paddleboards provided to explore the water around the boat, or venture off with our expert nature guide to witness the incredible flora and fauna at your fingertips! Guests on the Delfin can count on the highest level of service as they explore the Amazon on this welcoming luxury boat. Don’t miss sailing through the Amazon on the beautiful Delfin I, and make this experience the best it can be by spending a day fishing the unique and exotic species of the Amazon. Contact Us for more information about fishing in the Amazon on the Delfin I cruise.